Fill the room with a sweet fragrance with this pretty flamingo candle. 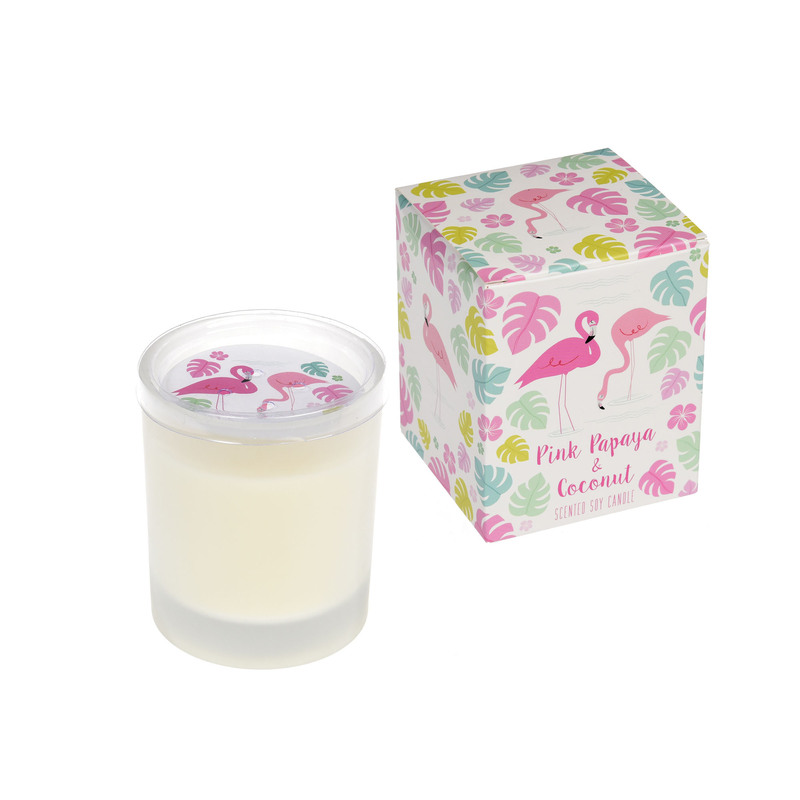 Made from soy wax the candle has a wonderful pink and papaya and coconut scent. Not only a delightful scent but a lovely decorative piece. Comes presented in a beautiful gift box perfect for flamingo lovers.